The roof on your home serves several important functions. First and foremost, it protects the interior of your home from the weather outdoors. It also helps your home retain heat during the winter and it protects you from harmful ultraviolet rays during the summer. Beyond that, however, you may not give your roof much thought unless you are concerned that it has been damaged in some way. Go2 Contracting is an experienced Castle Rock roofing company, and we are happy to inspect your roof and provide you with a free quote for either repairs or replacement. Contact us today to learn more about our residential and commercial roofing services! In the meantime, let’s review some of the most frequently asked questions people have about their roofing systems. 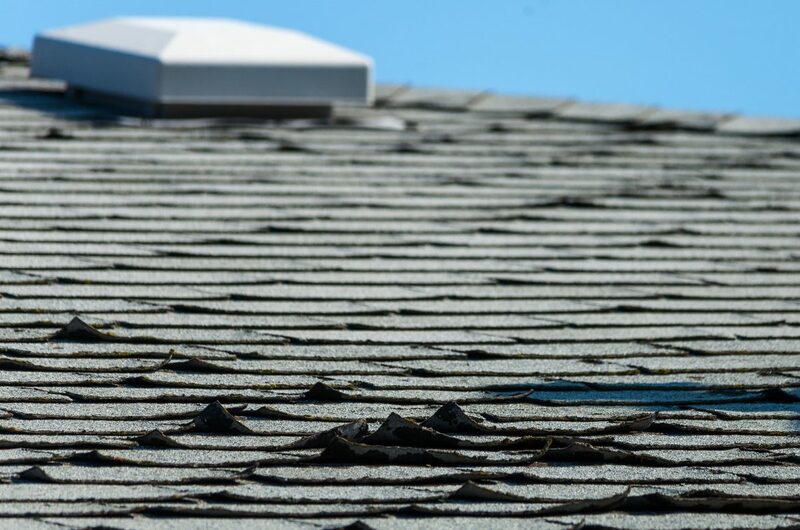 If you notice any of these conditions, contact a Castle Rock roofing company as soon as possible for an inspection. Can It Be Repaired Rather Than a Full Replacement? There is no black and white answer to this question because the answer depends on many different factors. Usually, roofing shingles can be repaired if their integrity has not been compromised. However, it may make more sense to complete a full roof replacement if the shingles are past their prime, they were improperly installed initially, or if a full replacement is more cost-effective than repairs. 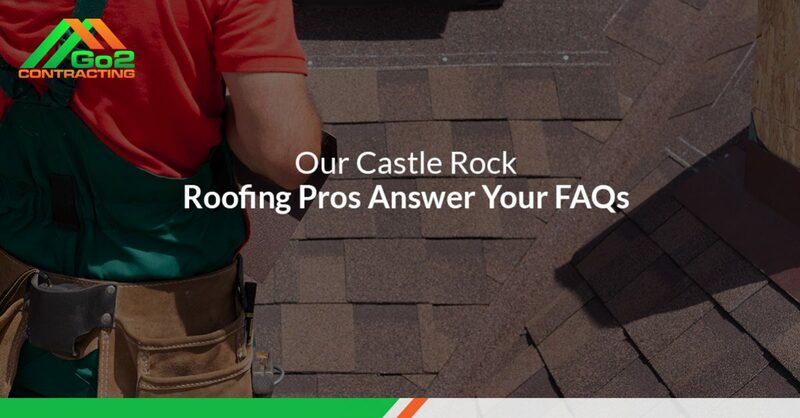 This is the first question you may have if you have been told your roof needs to be replaced. There are many factors that go into the cost of a roof, and many roofers are likely to quote different amounts. The type of shingles installed and the size of your roof are two major factors that influence the cost of your roof replacement. The slope of your roof can also make a difference, and so can the number of vents, the amount of flashing, and other roofing components that need to be replaced. Remember that the quality of your Castle Rock roofing contractor is also a contributing factor in the overall cost of a roof replacement, and you want to choose a roofing company that is committed to completing quality work. What Kind of Roofing System Is Best for Me? You have many options available to you when replacing your roof. Common roofing materials include wood shake shingles, stone-coated steel roofing, metal roofing, and asphalt shingles. Your HOA may have guidelines that you have to adhere to, and it may be wise to check your HOA bylaws before deciding on which type of roof you want. At Go2 Contracting, we specialize in installing our Tuff Roof system. This type of roofing system goes above and beyond those requirements set by your local building department to provide you with a long-lasting roofing solution for your home. We would love to speak with you about our Tuff Roof system to help you understand what it can do for your home. Can My Roof Be Replaced During the Winter? You might have heard that a roof cannot be replaced in the winter due to cold temperatures. In truth, there are no specific guidelines pertaining to outdoor temperatures that dictate when it is too cold to install asphalt shingles. Our Castle Rock roofing pros complete replacements all year long, weather permitting. We can replace your roof during the winter as long as there is no snow or ice on the roof. Why Should I Hire a Professional Roofer? You might be tempted to complete your own roofing repairs or replacement in order to avoid an insurance claim or the out-of-pocket expense that comes with this work. However, hiring a professional ensures your safety, and it also ensures the job is done right the first time. The last thing you want to worry about is injuring yourself or dealing with a roof leak after you repair or replace it yourself. Trust the pros at Go2 Contracting to take care of all your roofing needs! Have you noticed a number of your neighbors getting their roofs replaced lately? If so, this is a good indicator that several of the homes in your neighborhood sustained storm damage over the summer. Thankfully, Go2 Contracting is here to help. Our Castle Rock roofing experts can inspect your roof, siding, and gutters to determine whether or not they have been damaged. If they have been damaged, we can provide you with a free quote and work with your insurance company during the repair process. It doesn’t get any better than that! Ready to get started? Contact Go2 Contracting today to request your inspection and a free quote! We look forward to hearing from you!